He's such a good sport, going to "Tea" with me! Rob and I didn't get to spend any time together on my real birthday, June 10th, so we did a couple special things last Saturday to mark the occasion. We didn't have a lot of time, as we were/are involved with"fledge watch" at the corner of Islington and Bloor. Us, along with others, are keeping an eye on some Peregrine Falcon chicks that are learning to fly and sometimes need rescuing. A pair of Peregrine Falcons have been nesting there since 1996. I had a really enjoyable day. It started with a trip to the Disney Store, as I needed to pick up few gifts to take down home with me next week. I was wearing my "Birthday Button", and this got noticed in the store, and the whole store sang me Happy Birthday while my name was flashed on the large screen in the store! I had no idea they did this, and I got another button! 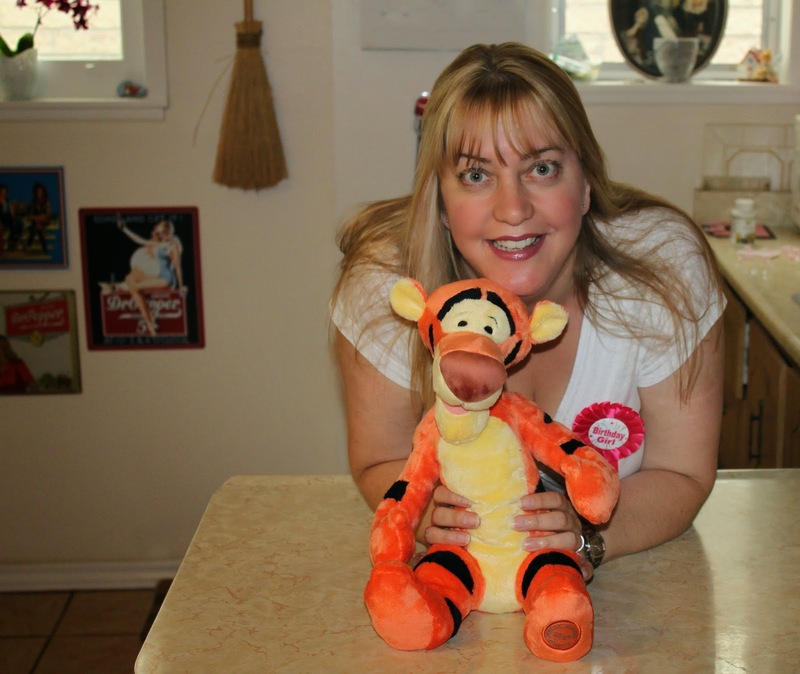 Rob also bought me a stuffed Tigger, while we were there. 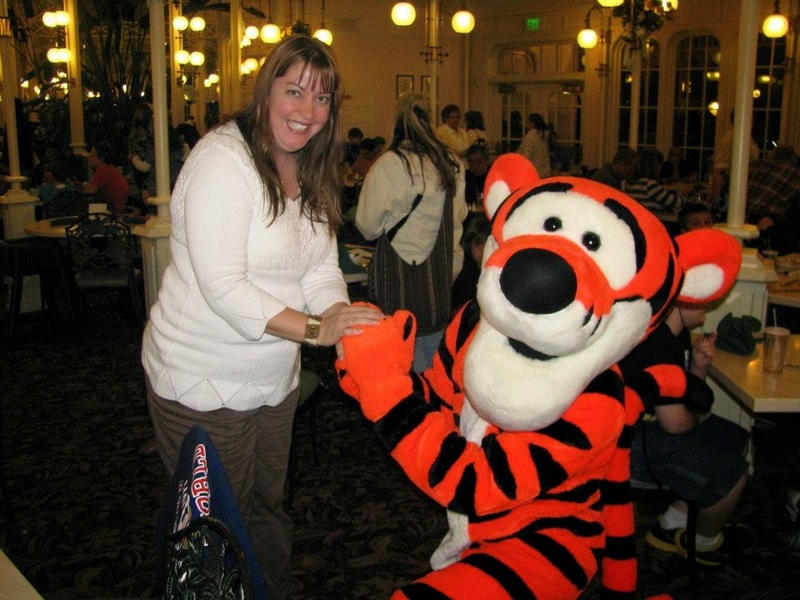 Tigger and I go way back, as Tigger proposed to me on my last trip to Disney, and less then a month later, Rob and I were married, I think Rob got scared I'd leave him for Tigger and Magic Kingdom!! 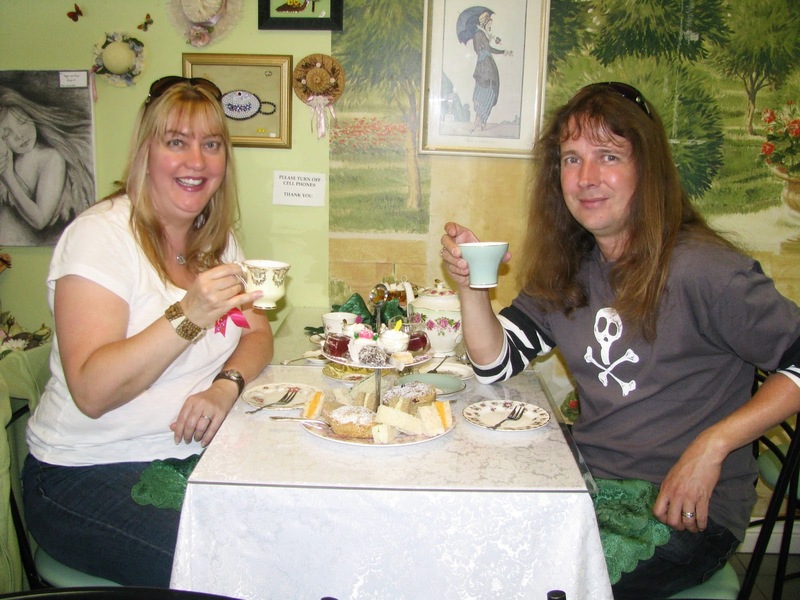 After the Disney Store we went to the Victorian Garden Tea Room for lunch before heading off to fledge watch. And for dinner that evening we tried a new tapas style restaurant in Bloor West Village, "Sparrow". Great place for a date night or evening out with friends. Rob says my personality is a lot like Tigger's. Bounce*Bounce*Bounce!!! The last birthday celebration for this year is tonight with friends. THE GRAND SEDUCTION - A MUST SEE!